Dan works on the sea and he is often far from his home in Hawaii. 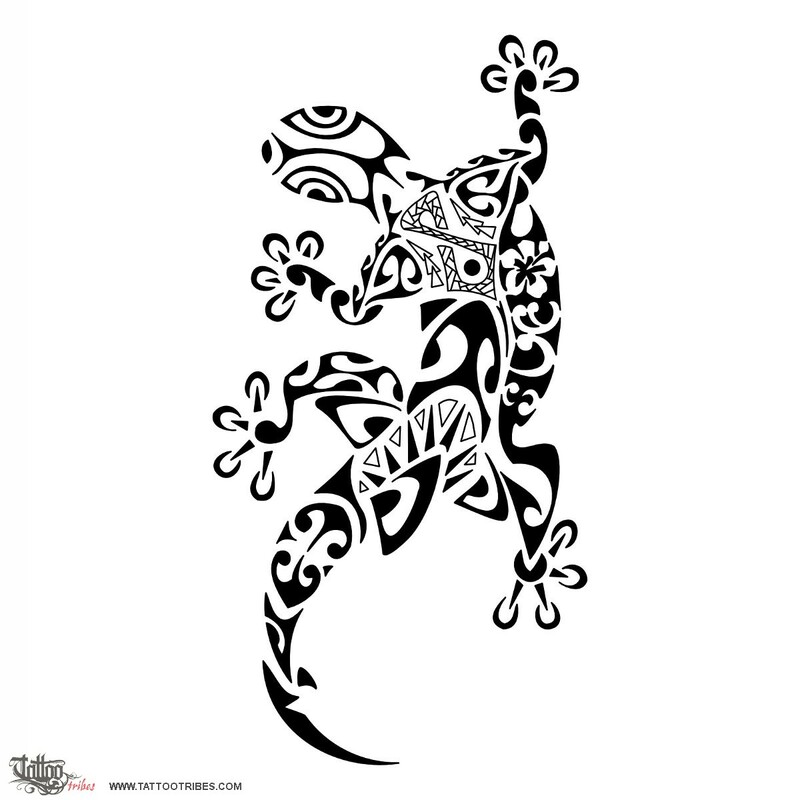 He requested this design of a Polynesian styled gecko (it represents communication to the spirits and health; they say that geckos keep diseases away from the house they live in). A manta is placed between the front legs, symbolizing freedom, followed by a shark that symbolizes strength and adaptability. They are both symbols of protection over the water. We placed the mangopare motif (hammerhead shark) inside both the manta and the shark, representing tenacity and protection. The sun is for joy and the fish hook inside the right back leg is a symbol of abundance and wealth (also representing the fisherpersons, and just above it we incorporated the name of Dan´s wife, SUE, and a hibiscus flower: beauty, "island´s vibe", Hawaii). 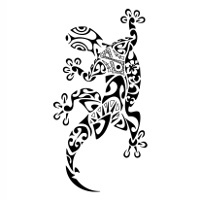 Waves are all around to represent his relation with the sea, and the eyes of the gecko are tiki´s eyes (protection). The body of the manta is centrally made of a twist, which is a symbol of neverending love: two lives that may be separated at times (e.g. Dan´s voyages), but whom will always come back together in the end, filled by a braid motif, which represents union and family.